Arnis is a Filipino martial art of self-defense that incorporates empty hands, swords, sticks, daggers, clubs, lances, and several projectile weapons. Arnis was created out of the country’s need to defend itself against centuries of foreign invaders. The swift and elusive sticks of the Filipinos were feared by all. 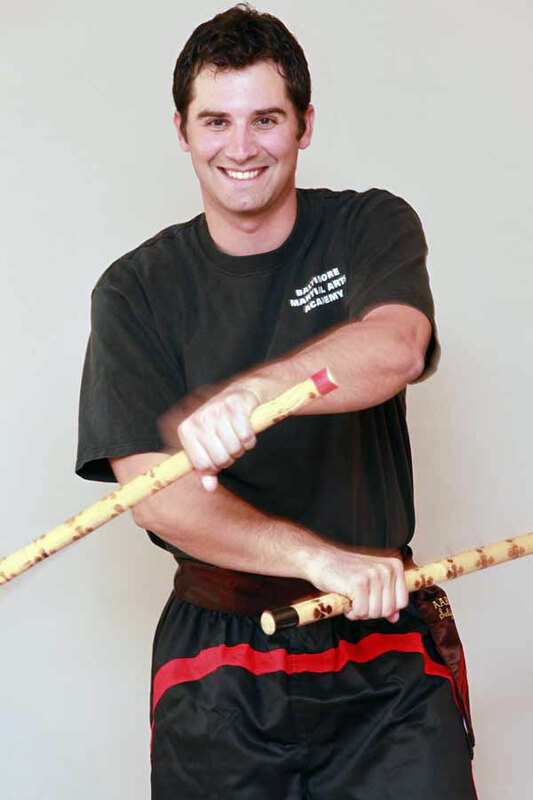 Elliptical motions, reversals, fluctuating angles, and constant motion make the Arnis practitioner a formidable foe. Our school teaches a style of Arnis called Doce Pares. Doce Pares refers to an assemblage of various styles of Eskrima, Kali & Arnis that were introduced into by its founding masters. Doce Pares, which means “12 Pairs” in Spanish, was adopted in reference to the famous twelve bodyguards of Emperor Charlemagne of France (AD 768-814). These twelve people all top swordsmen were known to have fought and killed hundreds of enemies in battles.